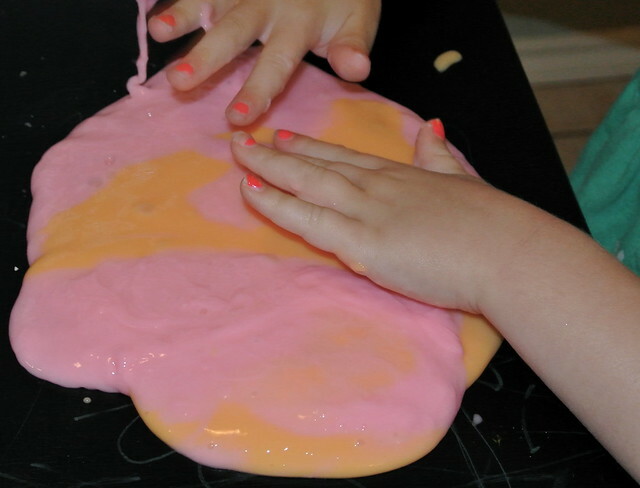 Making GAK is a pretty common thing at Kristen and I's house. 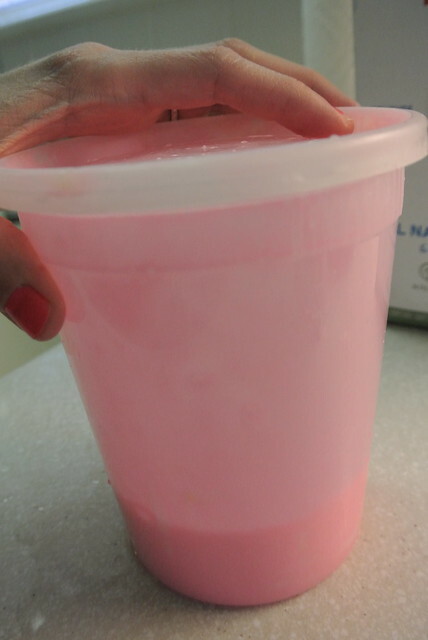 A few months ago Jeff came up with a genius new way to make GAK. All the ingredients are the same, just a little trick that makes it easier and a little more mess free. 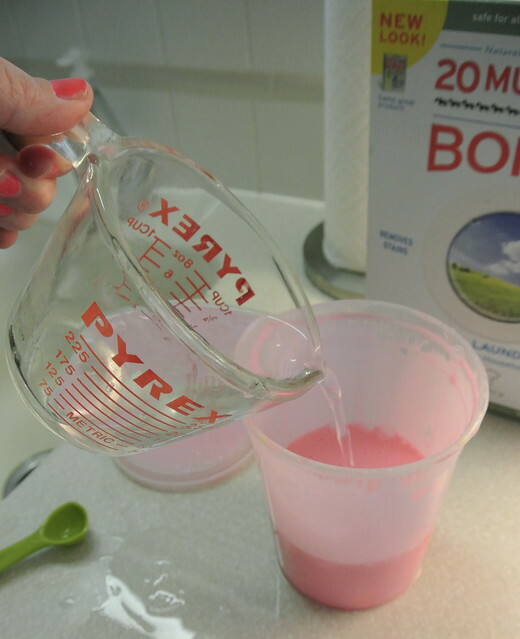 You mix together 1 cup of water and 1 teaspoon of Borax and set aside. 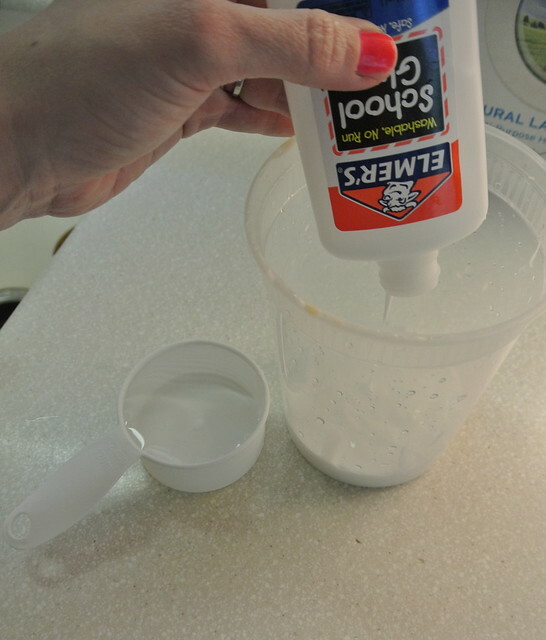 In an air tight container (a large mouth nalgene bottle works perfect) pour in a bottle of elmers glue (4oz), 1/2 cup of water and food coloring. Close container and give it a good shake. Next pour in the water and borax mixture you have set aside. Now it's time to really get shaking. 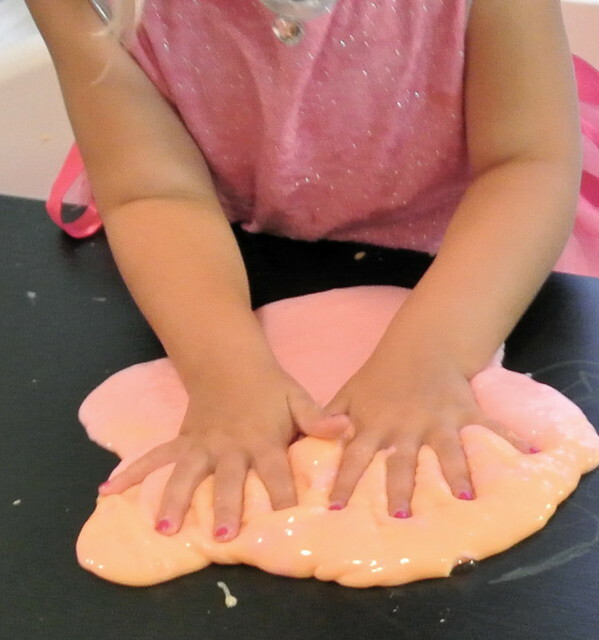 You will shake until the GAK forms. 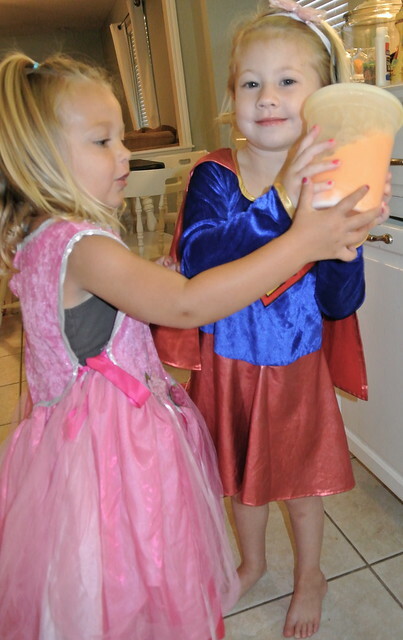 It takes a few minutes of good shaking and having a princess and superhero on hand helps too. 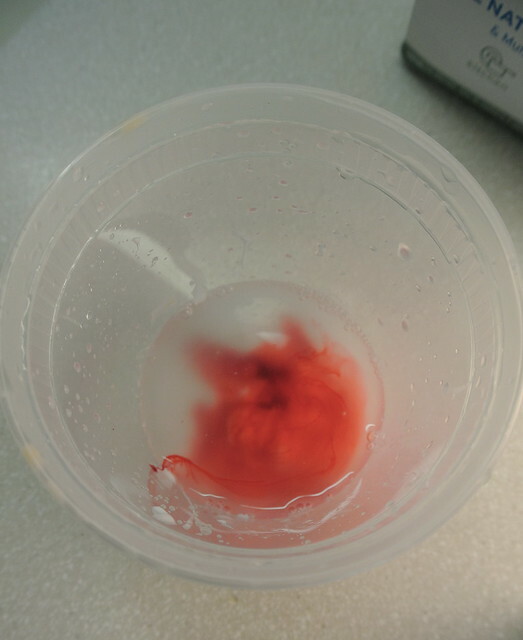 When it's done, there should be no runny liquid left over. That was always a problem for me in the original recipe where everything was stirred. This will be so much fun for my classroom! They will love the shaking part! Does McKenna have fun with this? I would like to try it with my 20month old but wasn't site if that was a little young.